Hi all! I apologize for neglecting my blog. I’ve been distracted by Important Stuff like cleaning all the things and crafting the perfect mojito. 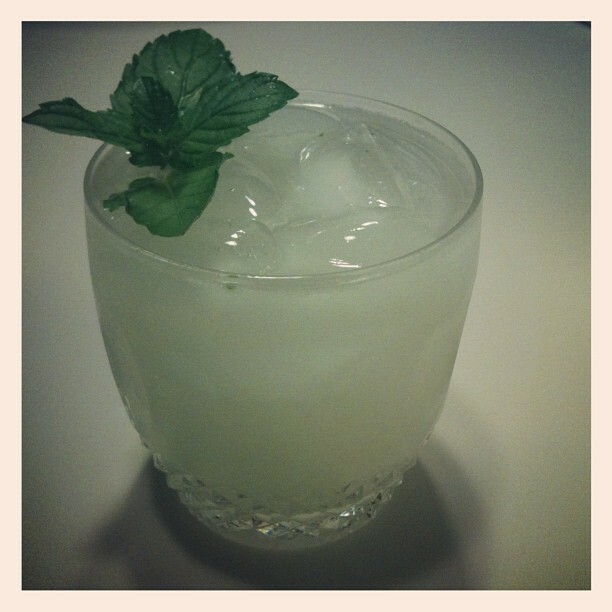 So rather than just not posting anything this week, I’ll at least share the mojito recipe. For me, the important thing was to get the fresh flavor of the mint, without winding up with little bits of mint floating around getting stuck in my teeth. I tried one recipe that makes a mint simple syrup, rather than muddling mint leaves, but I felt that that destroyed a lot of the flavor. I experimented until I found a satisfactory way to extract the oils from the mint and lime, while keeping the mint relatively intact, and straining it out. Holding each lime wedge inside the cocktail shaker (you want to capture all those oils! ), squeeze out as much juice as you can. Then drop the wedges into the shaker. Add mint, and gently press everything with a muddler or the handle of a wooden spoon, taking care not to pulverize the mint. Add syrup and rum, a handful of ice, and shake just enough to mix. Pour into one or two glasses (depending on your stress level and whether you have a friend handy who likes mojitos) filled with ice, and top with a splash of soda. Garnish with mint sprigs, if you like. 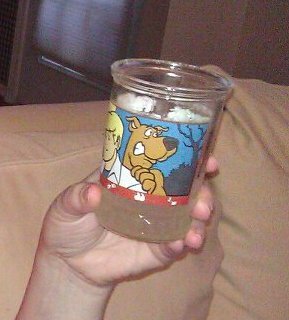 You know you’re a mom when you’re drinking liquor out of a Scooby Doo glass.